By selecting the “Subscribe” box above. You agree to receive “Biomax Curcumin™” once per month and that your credit card will be charged the amount matching your selected package size, billed to your card as “Gundry MD” You can stop shipments anytime by calling customer service at 1-800-852-0477, from 6am to 6pm PST (All terms and conditions apply). When it comes to curcumin, it’s all about absorption. And unlike most of the curcumin supplements on the market, BioMax Curcumin is formulated to easily absorb into your body — and stay in your system for 24 hours. So, if your goal is to keep your body youthful and strong, Gundry MD BioMax Curcumin™ can play a key role in helping you on your journey – especially for your heart and joints. Help their heart and blood vessels operate smoothly. Maintain flexible joints that allow for exercise and fun. Enjoy a healthy, long, active lifestyle. WHY GUNDRY MD BIOMAX CURCUMIN™? 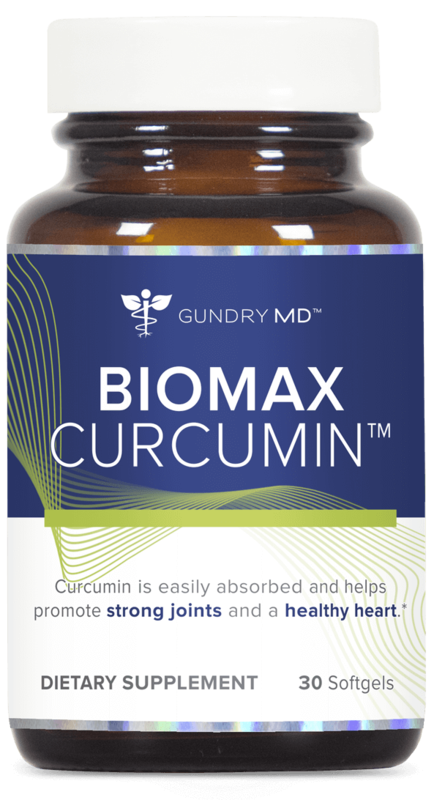 Gundry MD BioMax Curcumin features the most powerful formulations of curcumin, specifically designed to give your heart and joints the beneficial relief they need to thrive. 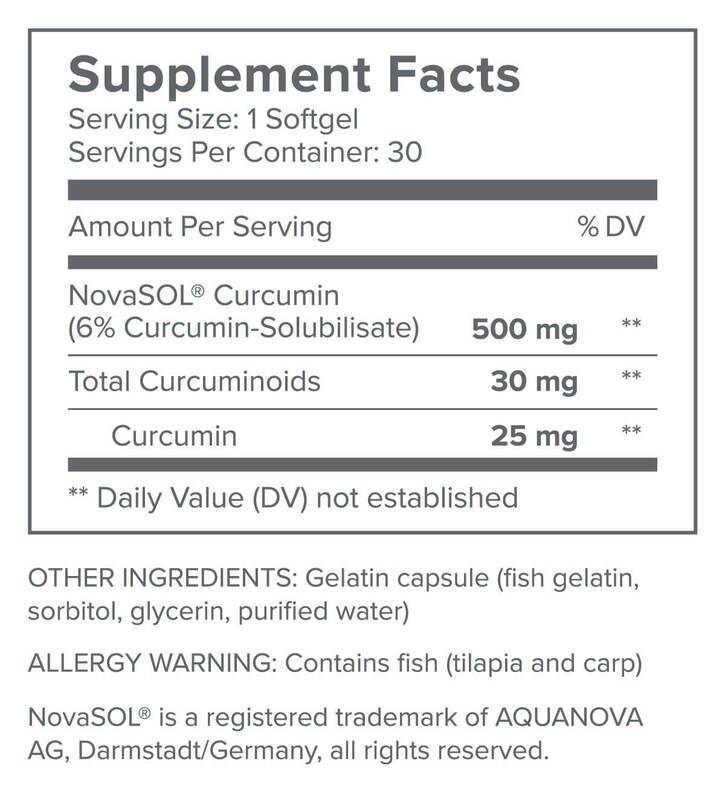 NovaSOL Curcumin: A major study has shown that this specific kind of curcumin is 185x more bioavailable than other generic brands on the market today.1 That means, other curcumins take a long time to absorb into your body — while NovaSOL instantly goes to work for you. Gundry MD BIOMAX CURCUMIN™ IS POWERFUL, BUT IT IS NOT A SUBSTITUTE FOR PRESCRIPTION MEDICATION. If you keep your body healthy and put yourself in the best possible position as you age, I believe this is one of the most important supplements you can take. 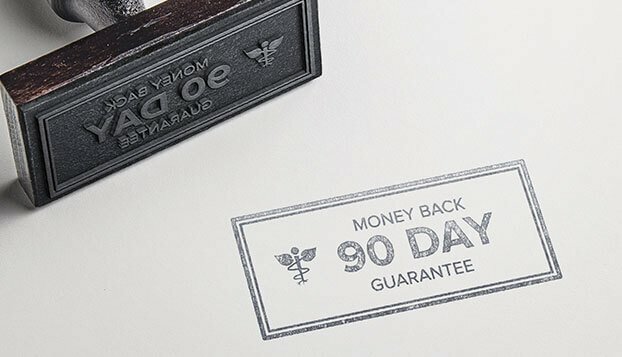 And I’m so certain you’ll love the way Gundry MD BioMax Curcumin™ makes you feel, as well as the support it provides, that I’m proud to back it up with my 90-day Money-Back Guarantee. WHAT ARE THE INGREDIENTS IN GUNDRY MD BIOMAX CURCUMIN™? WHO SHOULD USE GUNDRY MD BIOMAX CURCUMIN™? Gundry MD BioMax Curcumin™ is perfect for anyone who wants to live a long, active, healthy life. Because BioMax Curcumin is designed as a joint and heart supplement, it is formulated to be an ideal component for healthy aging. Remember — Gundry MD BioMax Curcumin™ is a powerful supplement, but it is NOT a substitute for prescription medication. HOW PURE IS GUNDRY MD BIOMAX CURCUMIN™? Gundry MD BioMax Curcumin™ contains only 100% natural and safe ingredients. The formula is tested for quality and purity at an independent, 3rd-party facility. However, as a physician I recommend consulting with your own health care provider before beginning any new supplement, especially if you currently take prescription heart or joint-health medication. HOW DO I USE GUNDRY MD BIOMAX CURCUMIN™? Using Gundry MD BioMax Curcumin™ is easy. Simply take 1 easy-to-swallow softgel once a day, with water. I suggest taking BioMax Curcumin with breakfast every day. It’s a great way to make sure you start your day right! 5 out of 5 Thanks to Biomax Curcumin I have my hips back and walking! I have a lot of improvement on my knees also and the pain in my joints is gone. I stopped taking it for a week when I had neumonia a month ago and after that I notice the pain started to come back…since then I take my Curcumin first thing in the morning with my glass of Vital Reds and Energy Renew to start my daily routine in good shape. The Dr Gundry Circumin is the only Circumin product on the market that provided me relief from my arthritis pain and swelling. Thanks for producing an effective Circumin formula and thanks to my wife for buying a trial sample that lived up to the promises. 5 out of 5 GET MOVING AGAIN!! Curcumin is amazing! I was bothered with stiff, creaky ankles and knees; especially when I woke up every morning. Long stints of being on my knees from gardening would mean sitting on my rear for the rest of the day and night. It’s been about 3 months since I started adding 1 Curcumin soft gel tablet to my morning combination of Vital Reds and Heart Defense, and I am moving without issues all day and night. I’ll admit I don’t bounce like a cat at +60 years young, but I am enjoying skiing, hiking, and riding my bike to work and having no physical issues. If you’re not moving, you’re not living to your full potential; so take care of your physical and mental health, add Curcumin to your natural supplement regime and get moving again! I’ve had knee pain over the last few years on and off, but almost daily for the last year. Mostly the knees would get stiff when I sat or laid down for a short while, but would mostly go away after taking a several steps. Getting up off the chair was causing enough pain that I dreaded getting standing up. I’ve been taking this for about a month and after the first few days, I noticed the pain was greatly reduced. After a couple of weeks, the pain is almost completely gone. I was surprised that it worked this well. I will keep taking it. 5 out of 5 Amazing little pill. If you have trouble with your joints, (my hands) this amazing formula will cure what ails you! I have complete mobility of my hands including snapping my fingers. I haven’t been able to do that in five years!